People assume that a child needs to spend a lot of time with peers in the same age group in order to learn good social skills. But it’s more a combination of engaging in social-skill building activities with same-age peers and well nurturing adults. 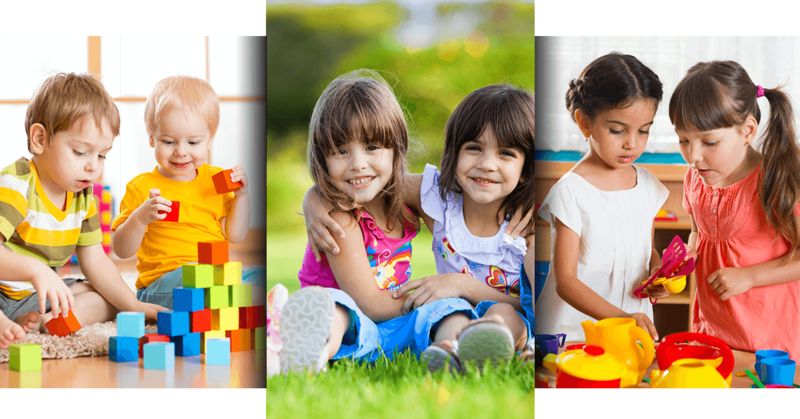 In a daycare centre, group activities such as play-dates and pre school attendance help a child not only to socialize but also to guide the child on how to get along with his/her peers. With the help of adults, your child learns cooperation, emotional self-control, offering help, making amends and observing important social etiquette. Early childhood education imparts on your child the emotional and social knowledge they need as they grow up. It teaches your child how to recognize emotions in others, how to form and keep friendships, how to handle negative emotions like anger without being aggressive and being empathetic towards others, so much than just socializing with same-age peers. 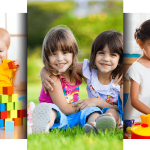 The early childhood education provided in a daycare helps your child develop the social skills that they will need to get by in school and later on life. So how exactly will your child learn these social skills in a daycare setting, and how does the daycare provide these skills to your child? We are here to shed some light on your child’s social learning. When children enroll in a daycare centre, they’re taught several social skills by teachers. In one of these lessons, a child is taught how to determine whether a certain situation is casual or formal. The child is also taught on how to behave accordingly depending on the situation. The child is able to know the difference between play time and a reading session, and from that they’re able to act accordingly. 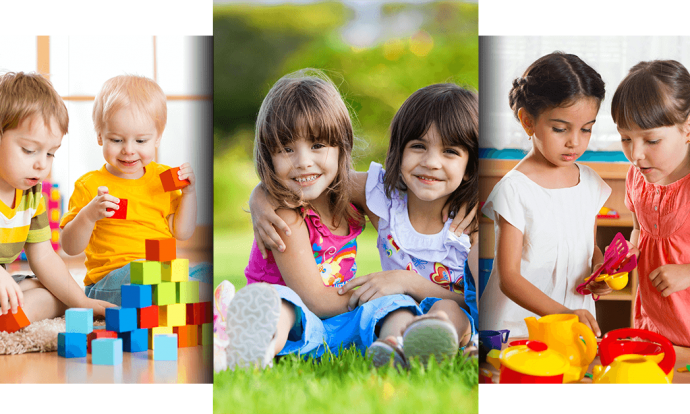 During play time, children are encouraged to work and engage together; that is more of a casual setting. Each child is of course different from another, and while a situation has certain rules, the child is not required to act exactly as others behave. For a formal setting, the child will learn that they are to pay attention and listen when the teacher is speaking. From such a lesson, a child will know how to act in a formal setting outside of the daycare. While engaging in play time or activities like block building, sports and other group activities, children are taught how to discuss, cooperate together and even to voice their opinion in order to reach their goal. Your child may disagree with another child’s opinion about something, but even so, they’ll be able to voice their opinion in respectful and polite manner. They’ll also be able to cope with their emotions in a healthy way. Children love getting praise for something good they have done. 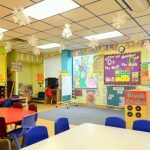 In a daycare center, they encourage kindness and consideration by organizing activities where the kids can take turns in reciprocal play. In games, passing a ball back and forth makes the kids more generous towards one another. When children engage on both sides of the game, it triggers a sharing and generous attitude among them. Children are always ready to learn something new. In day to day activities in a daycare, a child may knock over another child’s castle of blocks, someone may get a little too pushy and another may say something hurtful towards another. Sometimes it’s difficult for children to know how to handle such a situation. For this reason they are taught how to apologize, how to speak politely, maybe even help out reverse the damage and even using some encouraging words. A child is also taught how to accept apologies and to keep in mind that everyone makes mistakes, a mindset that nobody is perfect but instead, people learn from mistakes.